This is the kind of use I imagine VR will have in the future. The PlayStation VR may have had a terrible on stage demo at Sony’s PlayStation Experience event earlier this month, but the technology is clearly impressive- we say clearly not out of any belief held in its competence ourselves, but because it has received a ringing endorsement from NASA. NASA is looking at using Sony’s VR solution to help train and enhance its space robot exploration program. NASA has been using automated robots and probes to explore space for a very long time now- as a matter of fact, the bulk of our space exploration has occurred this way, remotely. However, the robots that have been used for these ventures so far have been highly specialized- NASA is now looking at sending humanoid and human-like robots into space for exploration. The advantage that humanoid robots have is their flexibility- they are generally all purpose. However, a humanoid robot can only be truly useful if it has human-like reactions and responses- which means it needs to be controlled remotely. 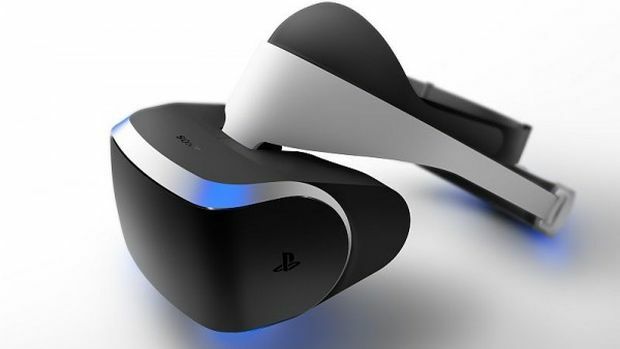 And to train for that, NASA is planning on using the PlayStation VR technology. “The hope is that by putting people in an environment where they can look around and move in ways that are much more intuitive than with a mouse and keyboard, it would require less training to understand how to operate the robot and enable quicker, more direct control of the motion,” Garrett Johnson, Software Engineer at NASA’s JPL told Road to VR. The demo that NASA uses for this purpose is pure simulation, running in real-time on a PS4, but it’s built to replicate the challenges that would actually come into play for humanoid robots in space, including the robot’s range of motion and the dreaded time delay that inevitably occurs in space travel (thanks to the upper speed limit placed on the transmission of information). Alongside the PlayStation VR, PlayStation Move controllers are used. So, whether or not PlayStation VR actually helps make video games better remains to be seen- but it’s already helping NASA with space travel.